I wanted to take a moment to recognize several deputies from my office. 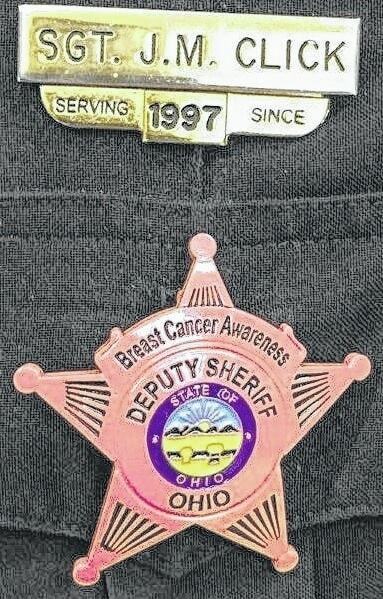 Deputies purchased pink badges on their own to help raise money and show support, as October is Breast Cancer Awareness month. We were contacted several months ago by Clark County Deputies FOP Lodge 209 and asked if we wanted to participate by purchasing pink badges. A portion from the cost of the badges will be donated to the Pink Ribbon Girls. Contributions directly benefit individuals and families fighting breast cancer. I support my staff in their efforts to raise funds for this worthwhile cause, and have authorized them to wear their badges as part of their uniform during the month of October.